91. Submitting the resume with a cover letter. 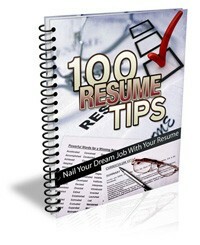 If you are going to submit your resume with a cover letter, there are certain things that you want to take note of. One of which is to properly match your resume with your cover letter layout. In other words, they should have the same font, text size, margins, and headings. 92. How to review your resume properly. Proofreading your resume several times can actually help in identifying errors on it. However, if you really want to ensure that it is free from errors, what you can do is to do something else once you are done writing your resume. After a few hours, check it out again, since the break would provide you with a fresher mind to double check it for errors. 93. Questions to ask after reviewing your resume. Once you are done reviewing your resume for a number of times, there are certain questions that you want to ask yourself. Such questions should ask you whether your resume was compelling enough, professional looking, clear and easy to read, free from grammatical errors, and such. 94. Forget other things first. Prior to writing down your resume, you should forget other things first. This can actually help you out in coming up with a resume that is focused on more important things. Aside from that it can also help you in writing a resume in a more positive tone. In these modern times, there are different ways of submitting your resume to a company. You can submit it by yourself, through email, or even through an online job portal. Before submitting it though, especially if you are going to do it through email, make sure that it is save in the right kind of doc file, so that your potential employer can open it. 96. Make up a plan. Before sitting down on your desk to write your resume, you should come up with a plan first. By doing that, you would be able to identify your direction properly. Aside from that, you can also uncover your qualifications and achievements more effectively.